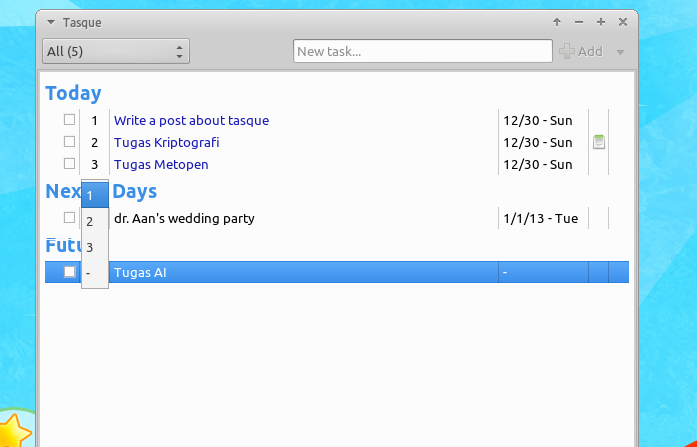 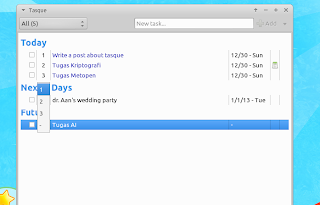 Tasque is a simple application which does just one thing, manage to do list, and it does it very well. 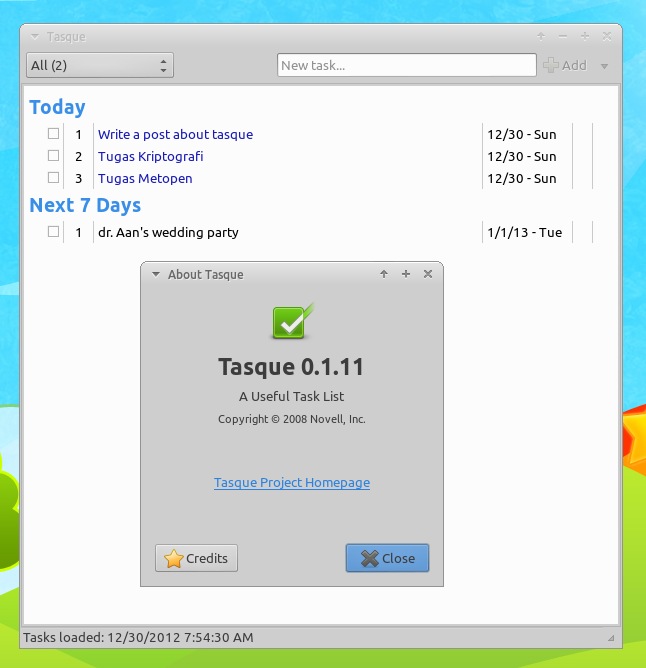 It can store your to do list or if you are a big fan of Remember The Milk web service, Tasque is a good native client for Remember The Milk. 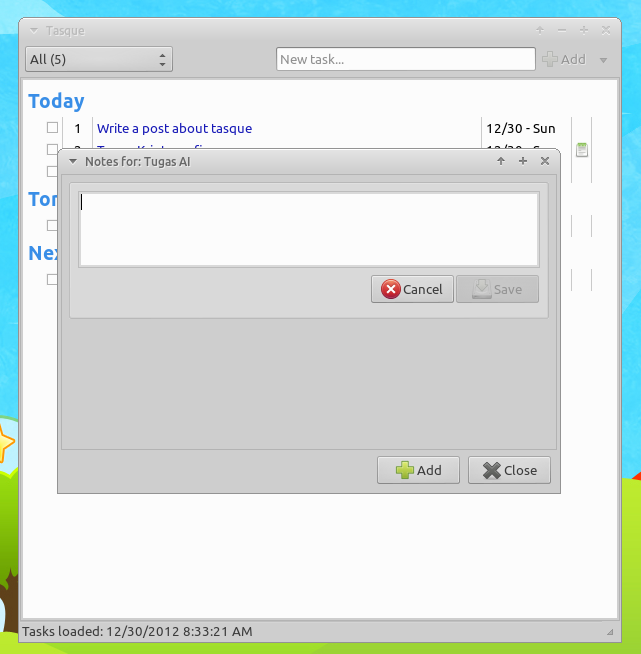 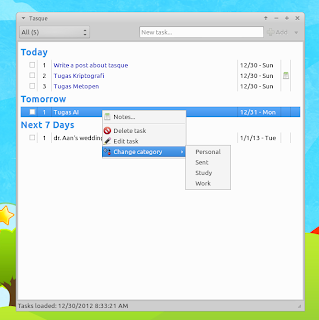 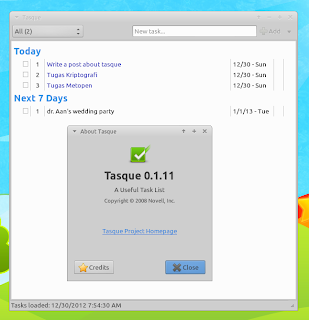 Tasque has a simple and clean interface, it should be what you need to manage your task. First thing first, please make sure you have Remember The Milk account, if you don't have it, please click here to register for free. 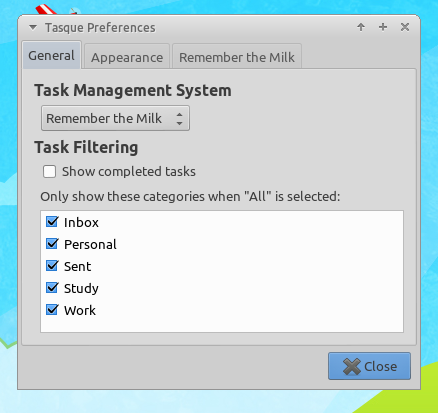 Once installed, open Tasque preferences and set "Task Management System" to "Remember The Milk" then open "Remember The Milk" tab to authorize your account to Tasque. Once connected to Remember The Milk, everything you do on Tasque will be synchronized automatically to your Remember The Milk account. 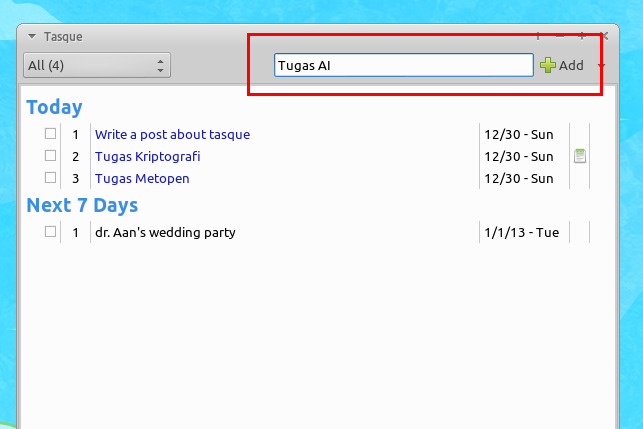 Using Tasque is very straightforward, type your task to "New task..." form and press "Add" button. 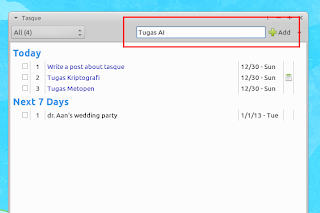 Once added you can edit its date and number by clicking on the appropriate field. 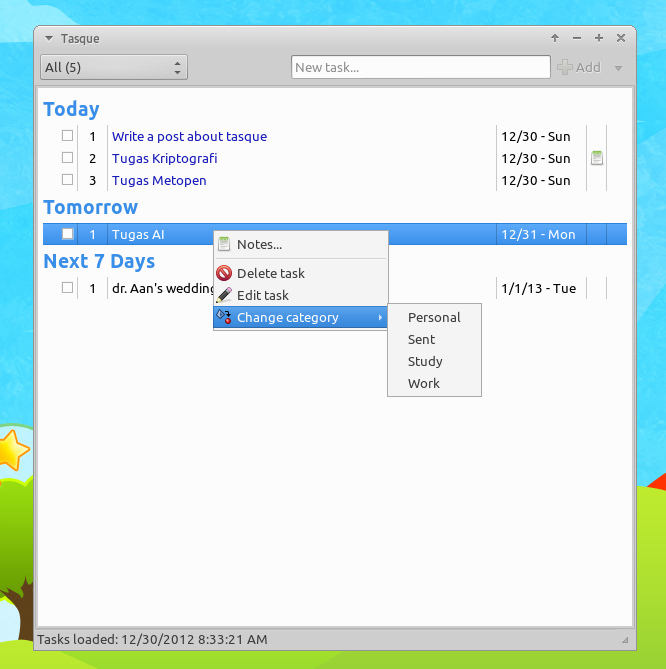 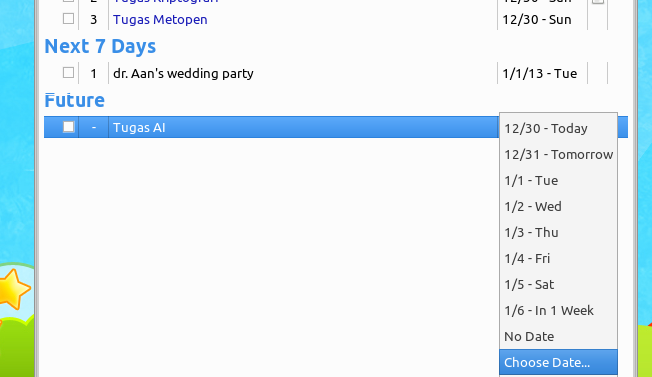 You can also edit category and add some notes to the task by right clicking it.